Oway’s Hsystem is a holistic hair color and care system that gives professional hair stylists revolutionary products and tools to provide their best hair service yet. Oway Hmilk No Stress is an innovative, versatile conditioning product every holistic hair colorist needs in their arsenal. It can be used in between technical treatments to replenish the hair and add longevity to toners. It's protective Amazonian plant butters and ceramide content make it ideal for customizing developer strengths or aiding in the cosmetic removal of hair color. • Protects and Conditions hair during color removal (stripping) and during washing phases between technical treatments. • Biodynamic Hibiscus Extract is commonly used in Ayurvedic medicine for its powerful antioxidants and flavonoids that thicken hair strands, prevent premature grey and discourage split end formation. • Amazonian Plant Butters + Oils nourish and protect the hair from losing moisture and softness during technicals services. • Ceramides strengthen the hair's structure and also forms a protect layer around the cuticle without affecting the penetration of color molecules or technical service products. • Fair Trade Date Oil is rich in oleic acid and binds with proteins to prevent hair loss, while helping hair retain optimal hydration levels. Apply after shampooing. Between technical steps and allow to develop for 2-3 minutes and rinse. If you are toning, apply and rinse Hmilk before your toner. 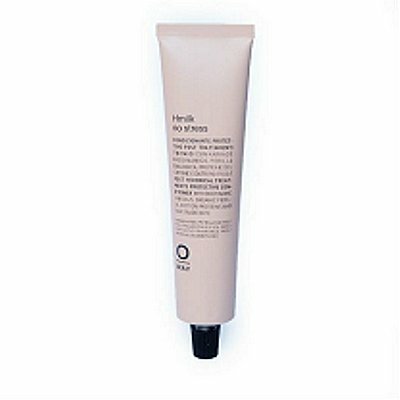 Hmilk No Stress will give the hair moisture, softness, and even act as porosity balancer before applying the toner, which allows it to take more effectively, while increasing longevity. COLLACEINA Lactoferrin + Lysozyme + Colostrum + Synbiotics COLWAY 2 x 30 caps.